TCS closed the week on absolutely flat note. 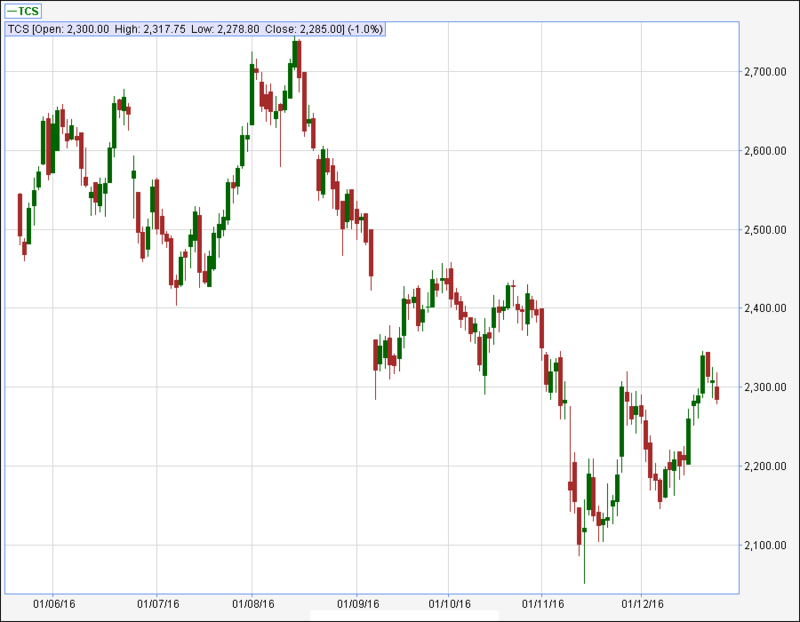 As we have mentioned last week that resistance for the stock lies in the zone of 2260 to 2280 from where the stock broke down from the double bottom pattern. If the stock manages to close above these levels then the stock can move to the levels of 2400 to 2420 where the stock has formed a double top in the month of October-2016. During the week the stock manages to hit a high of 2345 and close the week around the levels of 2288. Minor support for the stock lies in the zone of 2230 to 2250 from where the stock has broken out on intraday basis. Support for the stock lies in the zone of 2150 to 2170 from where the stock has broken out of the consolidation zone. If the stock manages to close below these levels then the stock can drift to the levels of 2080 to 2100 from where the stock has bounced in the month of November-2016.